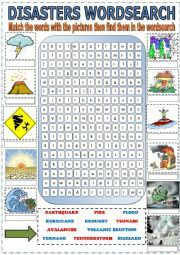 Here is the answer key for the "Natural Disasters" worksheet. All the best. This worksheet is to focus on the main features of Australia. It can be used as a starter. I reupload it as in the previous game there has been one of the words missing and another one was misspelt. Sorry! All the best. 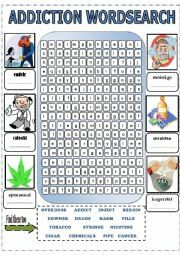 This is a game-based worksheet dealing with addiction related words. 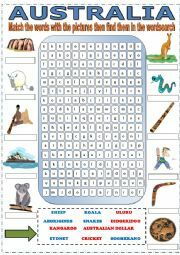 This wordsearch helps student learn a lot of words related to addition and the dangers caused by it. I hope you find it useful. By the way this worksheet is editable. 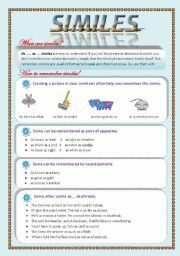 This worksheet explains different types of similes and how to make similes easily. 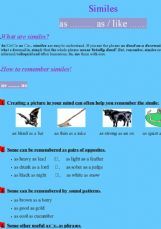 It also includes exercises based on different learning styles and strategies.By the way, key answers are available. I HOPE you find it useful. 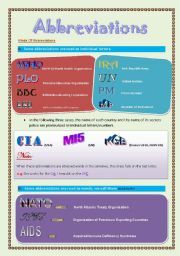 This worksheet helps your students understand different forms of abbreviations. I hope you find it useful! Part 2 will be exercises based on abbreviations and that�s coming soon. Thanx in advance. 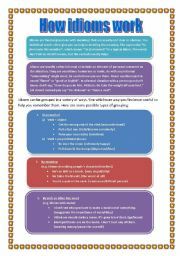 This worksheet helps your students teaches your Ss according to the KWL teaching strategy. What do Know about similes? What do you want to know? What did you learn? I hope you�ll find it useful. All The Best! This worksheets will help your Ss learn different types of abbreviations and the way they�re made. I hope you�ll find it useful as well as helpful. All The Best! 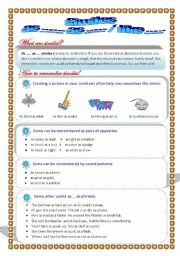 (Reuploaded) This worksheet tends to help your students understand idioms and the easiest way to make them. I hope it�s useful. Thanx in advance. It�s hangman the wellknown game; to help your students learn the alphabet in a funny way. I hope it�s useful for you too. In this activity students will review the present simple, the past simple, the present continuous through watching some teaching videos. After that, they will practice the tenses doing a quiz. All The Best!